An Open Letter to all the Equity Investors who are Allergic to Crypto Coins. 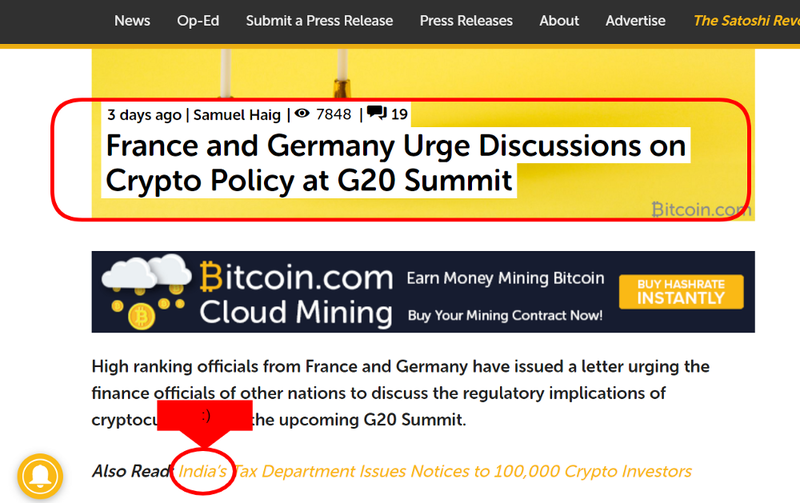 Exactly on 30th Nov, I bashed up bitcoin publicly on my finance blog. I’m not trying to be sceptical here. I still don’t admire bitcoin. It’s coming to a bad end if proper changes are not implemented to its blockchain. Many currencies (Ethereum, Litecoin, Steller, Stratis etc) had already figured out the solution of the problem associated with bitcoin. Reduced electricity consumption. Higher transaction rate per second. Scalable. highly distributed nodes. The list goes on. I’m highly optimistic about the crypto community as a whole. I’m also an equity investor but being a programmer as well, I’m fascinated by the blockchain technology and its impact on the world. However, it’s amazing to see that most of the equity investors (even the famous one) are not only staying away from the Crypto tide but also declaring them as Ponzi schemes. 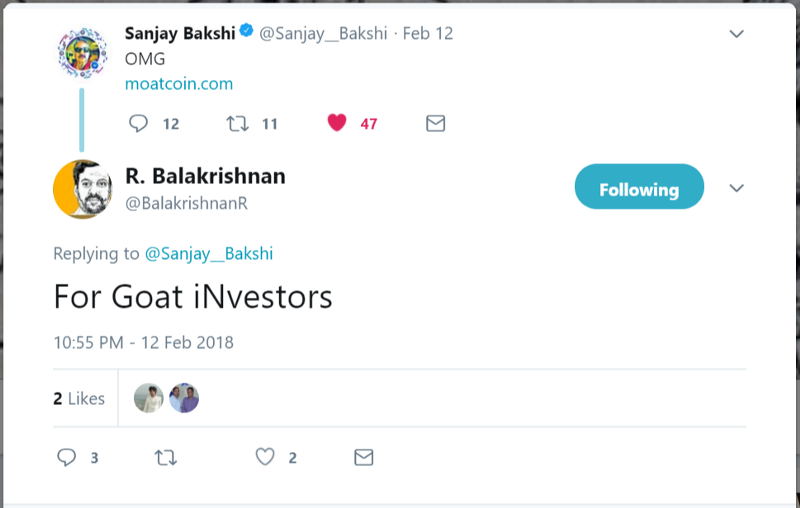 Recently, Sanjay Bakshi, a famous investor known for his value investing tactics, tweeted about MoatCoin, not in an appreciable manner though. Followed by another famous finance disciple, Balakrishnan. We are glad, they are at least talking about us. 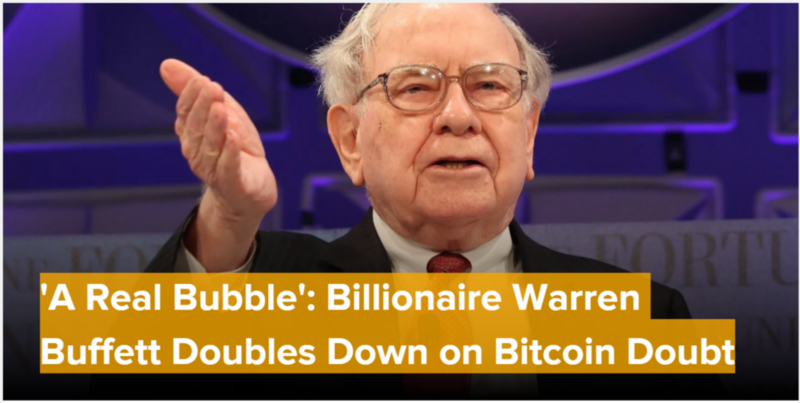 Even Warren Buffett double down the cryptos as a real bubble. It’s totally pathetic to see the investors who are practicing value investing for years lacked their analytical skills down on cryptos. They just took their decision based on the short span of price movement of bitcoin from 4k to 20k. But that doesn’t mean they are right. 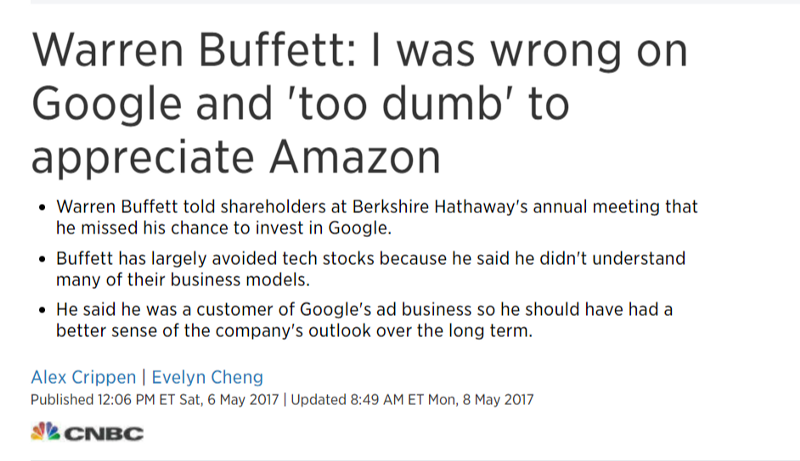 Warren Buffett admitted the wrong move on Google and ‘too dumb’ to appreciate Amazon. Everyone makes mistakes, no matter how experienced they are. They criticize, “There is no intrinsic value of cryptocurrency. No cash flow”. So is very true with a hard commodity like gold, diamond etc. There is no intrinsic value. No Cashflow. Their value is absolutely dependent on what people perceive their value to be at a certain point in time. It just has the faith of people which is very hard to break. Diamond for example — no intrinsic value — but the cost of that ring cost pretty goes very deep in our pockets. So “no intrinsic value” can never be an issue with crypto. crypto is backed by the blockchain trust, problems it can solve, the crew behind the scenes, elimination of middlemen, transparency on blockchain etc. Ripple just reduced the cross-border transaction from days to few seconds with almost no fees. Yes, I agree. The crypto market is not regulated. There are many scams out there. Just a few hours back, LoopX ICO pulls exit scam, walks away with $4.5m in investor cryptocurrency. That’s a hell lot of money. This is normal in the crypto space but that doesn’t mean there are no legitimate projects which are really solving the real-life problem. I’ll illustrate half a dozen of my favorite projects in a while. You’ll be totally amazed by the concept. Stick till the end. This article is dedicated to all the equity investors who don’t know a thing about its underlying tech and keep advising people to stay away from it. Share with your equity friend and tell them not to regret later. 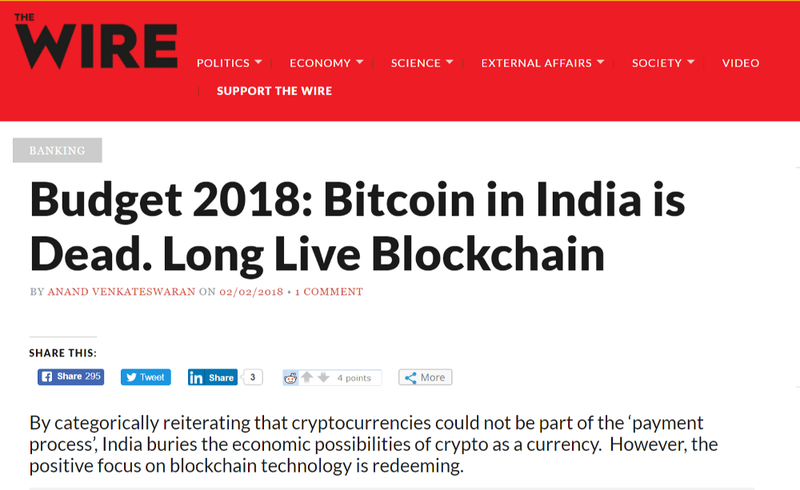 I heard that Indian Government declared cryptocurrency illegal. Yes, Bitcoin is not legal tender in India but that doesn’t mean it’s illegal. I’ve 3 points to tackle my stand. Even gold is not legal tender, yet we can swap it freely. Legal tender is a medium of payment recognized by a legal system to be valid for meeting a financial obligation. So it’s okay if Bitcoin is not a legal tender but as an individual, we have no restrictions in sending/receiving cryptos from others. Japan. South Korea. Canada. More in line. This whole time while Indians are fighting whether the cryptocurrencies are banned or not, countries like Japan and South Korea started regulating the crypto space. And many countries have started utilizing the blockchain technology to increase the transparency in the governance. Look. 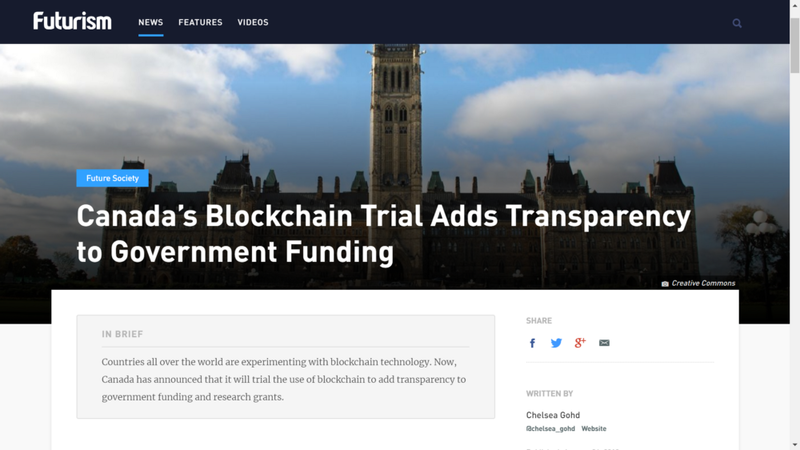 The government of Canada exploring the potential of Ethereum Blockchain and added transparency to Government Funding. That’s something Indian government needs a lot. Go fill your bag with Ethereum at whatever price available. I’m in love with Ethereum, not only using it for capital gains but also building awesome projects on top of its smart contract protocol. We will introduce a lot of initiative in our MoatCoin ecosystem. Stay tuned. Lets deploy a smart contract on ethereum blockchain where you & me will transfer 10 ETH each. Funds will be locked up for whole 2018. The bet is, ETH will cross $2000 by year end (it’s trailing around $800 now). The smart contract will check the price on 31st December 2018 and transfer all of the 20 ETH to my address if the price is above $2000 and if not, your address will receive all of them. What’s your take? You see, there are no middlemen between us and yet the safety of funds is ensured by codes running on ethereum blockchain. No one can change it. It’s immutable. Isn’t it cool? I can bet there’s no way to completely ban or outroot this new tide of cryptocurrencies. The only solution is to regulate it on the international level. France and Germany already urged to discuss in upcoming Summit. So now all nations have to unite to take a stand against a decentralized system of cryptocurrency. Funny. Let me illustrate it a little more (geeky one). I’m a very big fan of Torrent. The website is banned by most of the nations due to piracy. But a new clone gets sprung up every another day. 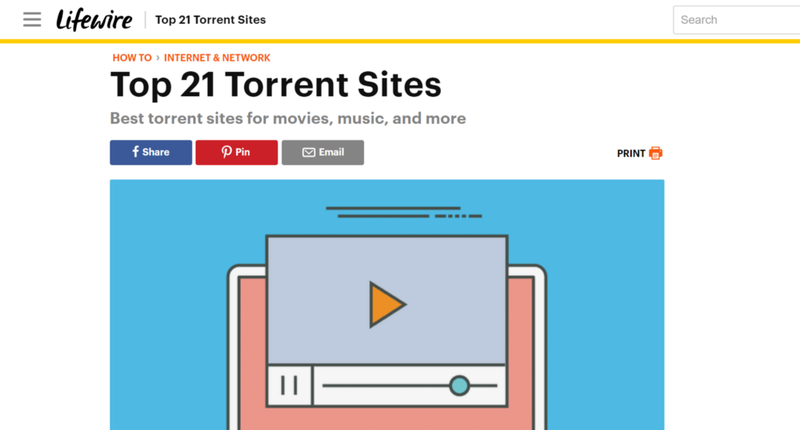 There are still so many other websites to access the torrent network. Governments struggle to ban technologies like Tor, encryption and dark web, it seems impossible to imagine them gaining the ability to truly impact cryptocurrencies in a way that could impede its progress. If governments could effectively stop a peer to peer network, they would’ve shut down the illegal practices of torrent websites over a decade ago. But they can’t. The files are shared in a decentralized manner. There’s no central server like Netflix or Amazon Prime Videos. Torrent network is peer to peer network so if you’re downloading Movie Dunkirk via a torrent network, you’re not downloading it from any central server instead of from the network of devices (laptops, mobiles etc) where the Dunkirk is stored (that’s called seeding). And I’m pretty much sure, the government can’t track and take down all the devices globally. Go ahead, pass laws. No one can kill cryptos, even if they try. That’s why we admire the decision of Japan & South Korea of regulating cryptocurrency instead of banning. Why waste time and power in doing something which is not possible? Ethereum network is supported by 25,800 supercomputers (nodes) globally at the time of writing this article which are mining ethereum transactions. And those miners are increasing at a fast pace. To take down the whole ethereum network, the government have to take down most of the supercomputers (nodes) situated globally which is practically impossible. Don’t you dare to fight a distributed network of programmers? My Dear Equity Investors, legitimate crypto projects exists. 2017 was a great year for ICOs. Not only currencies, blockchain is disrupting the way every sector operates. P2P Grocery Market (INS world). Distributed social proof insurance (Insurepal). The list goes on. What more to say? Even Adult Industry is shifting to blockchain technology. Spankchain is revolutionizing the Adult Industry. They have a pretty good introductory video explaining how blockchain tech solved their problems. All of those crypto coins are build on ethereum blockchain using smart contract. Etheruem just pushed the craze for ICOs to next level. Let me illustrate some of my favorite crypto coins. You have to deal with a broker in almost everything. Whether you buy real estates, stocks, mutual funds or name it. 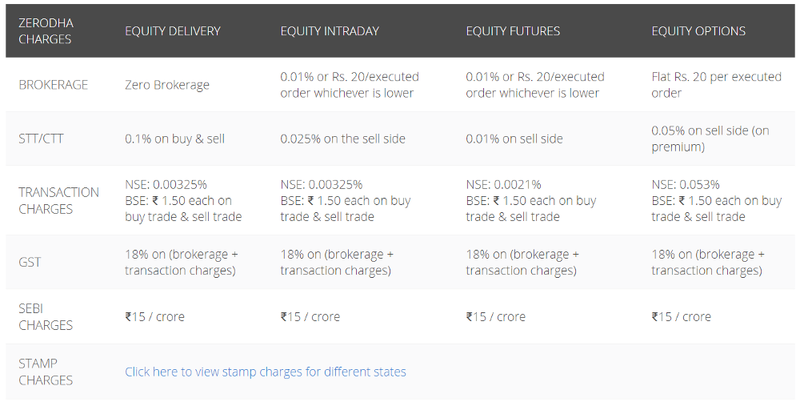 Imagine a system where there’s no need of broker to exchange assets and yet none of indulging party defaulted. That’s possible with 0x protocol built on ethereum blockchain. Yes, you trade assets on blockchains. No brokerage. No middlemen. No delays. Quick executions. An immutable track record. What more you need? And delivery of stock is completed in T+2 days (delayed). That’s what 0x protocol is trying to disrupt. Powering decentralized exchange. 0x is an open, permissionless protocol allowing for ERC20 tokens to be traded on the Ethereum blockchain. Just seller & buyer. And smart contract ensures the safety of funds. So this is how it works. I mostly prefer Radarrelay, a decentralized exchange to swap tokens. Ethereum (wrapped) with BAT (an ERC20 token). Find or place an order. Use meta mask extension (which connects you to the Ethereum network) to publish your transaction details. After miners mine your transaction, tokens get exchanged. Here’s how the underlying crypto works. You place an order signed with your ETH private keys stating that you want to buy ETH from anyone selling BAT at a specific rate. Your orders get published to ethereum network (I use Metamask to do that). Anyone willing to sell BAT finds your signed transaction on DEX (like radarrelay). S/he too signed it with his/her ETH private keys confirming that S/he is willing to buy ETH from you by selling BAT at a specified rate. 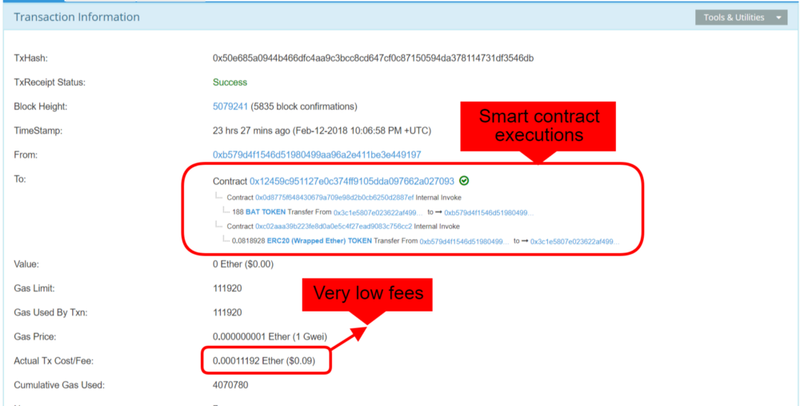 0x protocol smart contract automatically runs the logic and the order get confirmed, transferring ETH and BAT to respective account. And miners took the fee for mining your tx. Ohh. Did I lose you? Here’s my transaction executed yesterday. Miners took $0.09 fees (why did they even took it?) and the transaction got confirmed within few minutes. So as I said, no brokerage. No middlemen. No delays. Quick executions. An immutable track record. And whether it’s a tx of value 100 or 0.00001 ETH miners will take the same fees. Unlike traditional brokers, they don’t charge you on volumes instead they charge you for the computational power used to confirm your transaction which is Gas Limit and Gas Price. I got my site https://sowmayjain.com registered with a brave publisher. Brave browser blocks all the ads and uses the BAT (Basic Attention Token) to reward registered websites. BAT is a crypto utility token build using Ethereum Smart Contract and one of the best product-ready crypto coin. It’s disrupting the web advertising companies like Google Adsense by eliminating the middlemen between publishers and visitors, hence completely removing the commission charged by these companies (which is 33% in case of Adsense). Visitors directly reward the publishers with no cuts, eliminating middlemen. They are changing the way advertisers, publishers and consumers connect. Disclaimer: I hold the BAT. your hard drive space. Amazing. Rent Your Drive. This Storj is creating a network of Distributed Cloud Storage. I use Digital Ocean or AWS Cloud to host all of my websites. They have access to my database and fees are also high. Storj makes things decentralized by letting you store your data on a distributed network of the device, encryption applied. And instead of paying big corporate giants, the people renting their free disk space are getting paid. Saving resources and money. Go get your drive rented. Another astonishing innovation in the decentralized space is Power Ledger using blockchain to digitize energy. Thai-Government backed renewable energy developer BCPG and Power Ledger, have announced an agreement to bring peer-to-peer renewable energy trading to Thailand (source). There are so many initiatives which are solving a real-life problem. Quantstamp, District0x, ETHLend, Dai Stable Coin, EOS, Tron, Status, Aeternity, Augur, Loopring, Golem, Bancor, Civic etc. Check out https://coinmarketcap.com for more details on cryptocurrencies. There are more than 1500 crypto coins in the market today. Most of which don’t even have any market-ready product. When I first started investing in cryptos, I was baffled by the lack of regulation in crypto space. Heard about many million dollar hacks of crypto exchange in last 1 year. Managing diversified crypto portfolio for a first time investors is a great hustle. That’s where we came up with an idea to build an ecosystem where the community as a whole will help to manage the portfolio in a decentralized manner. MoatCoin is an Ethereum blockchain based ERC20 token which shows the Proof of Membership in MoatCoin Fund. You invest in MoatCoin and the funds will be allocated in different research-backed crypto coins. Its underlying value will increase if the coins under umbrella increases in price. Its backed by some real values, not promises. Finding the crypto coins with a legitimate product, MoatCoin is planned to decentralized the investment decision process, disrupting the Portfolio Management Service (PMS) industry. Our smart contract based protocol works on decentralized governance. Our DA-ICO is scheduled from 11th March to 24th March. Participate and help us raise the tide of crypto. Let’s make this Indian Crypto project a successful project. I’m not against those Equity Investors. I’m a very keen admirer of Mr. Buffett, Sanjay Bakshi, Porinju, Basant Maheshwari etc and following their every move. I even build a web app (BSEN) which track the movements of all the big investors. I can’t follow them when we are talking about technology. Their investment style is too much traditional. Technology is changing at a very fast pace, not everyone can cope up with it so quickly. We learned a lot of value investing tactics from those investors and just trying to implement that skills in crypto space. The real wealth is finding the opportunity when everyone else is fearful. It’s time, crypto is not even a half trillion market ($430 billion at the time of writing this article). Even dot-com bubble which was mostly concentrated in the US peaked 20 trillion before bursting. The crypto market which is distributed globally is going to be much bigger than 20 trillion but “if you are playing the game of musical chairs do keep one eye on the door. You never know when the gatekeeper might sound out the fire alarm” — well quoted by Investor Basant Maheshwari in his PMS newsletter. Acknowledgment to Shravan Maripuri for editing the article.